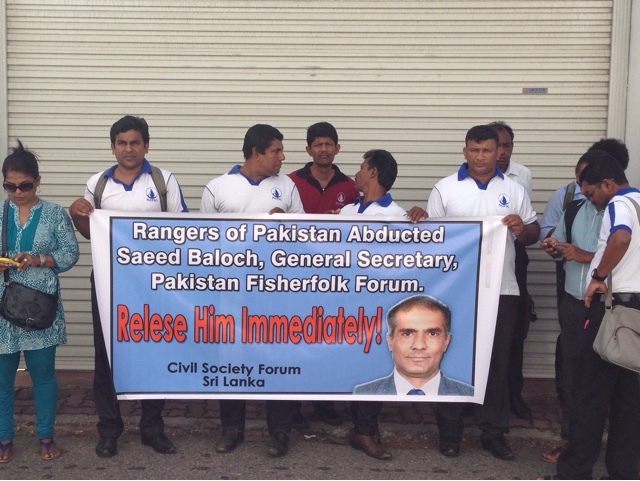 Civil society of Sri Lanka conducted a demonstration and demanded the immediate release of Mr. Saeed Baloch,general secretary of the Pakistan Fisherfolk Forum and he is a well known human rights activist. On January 16th He was arrested by the Rangers, which is a paramilitary force controlled by the Pakistan Army. 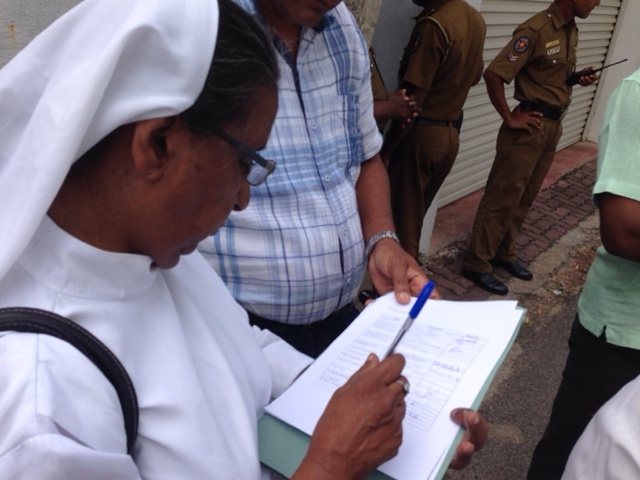 During the peaceful token protest in front of Pakistan Embassy in Colombo, submits a letter to embassy with signatures of civil society representatives. National Fisheries Solidarity movement (NAFSO), Movement for Land and Agriculture Reforms (MONLAR), Right to life, Families of the Disappeared, Southern Fisheries Solidarity (Mathara), Kaluthara District Fisheries Solidarity, Puthlam District Fisheries Solidarity and severall other organizations represent the event.